A near-capacity audience attended our 15th annual Brendan Gill Community Lecture on Friday evening, April 12th to hear Pulitzer-Prize-winning author, Jon Meacham. Marilynn Hill, lifetime co-chair, introduced Meacham to the near capacity crowd in the Reisinger Auditorium at Sarah Lawrence College. Jon Meacham is the author, most recently, of Thomas Jefferson: The Art of Power, a No. 1 New York Times bestseller that has been named one of the best books of the year by The New York Times Book Review, The Washington Post, Entertainment Weekly, The Seattle Times, and the St. Louis Post-Dispatch. 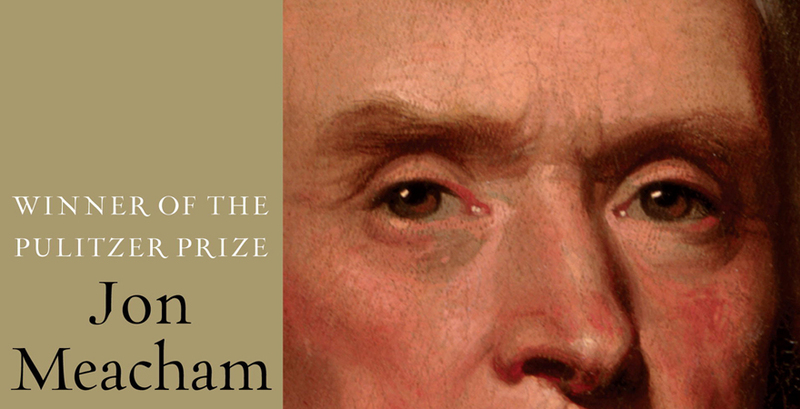 Meacham received the Pulitzer Prize for American Lion, his bestselling 2008 biography of Andrew Jackson. He is also the author of the New York Times bestsellers Franklin and Winston and American Gospel. Executive editor and executive vice president of Random House, Meacham is a contributing editor to Time magazine, a former editor of Newsweek, and has written for The New York Times and The Washington Post, among other publications. He is a regular contributor on Meet the Press, Morning Joe, and Charlie Rose. A Fellow of the Society of American Historians, Meacham serves on the boards of the New-York Historical Society; the Churchill Centre; and of The McCallie School. He is a former trustee and Regent of The University of the South and has served on the vestries of St. Thomas Church Fifth Avenue and Trinity Church Wall Street.